The Champagne Suite is a stand- alone unit on the ground floor. The suite is larger than most, (65m2) and has both a spa bath, and a walk-in shower. The Suite has a lounge, mini bar, Flat screen TV with DSTV, coffee facilities and air conditioning. There is also an outside seating area with lovely views of the gardens. 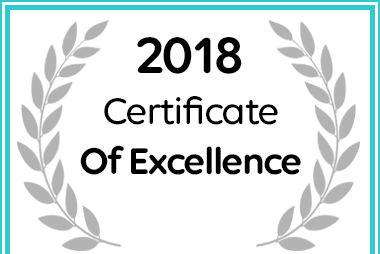 Valdor Guest House in Franschhoek received a 2018 Certificate of Excellence Award.